manage, analyse and explore your qualitative research. 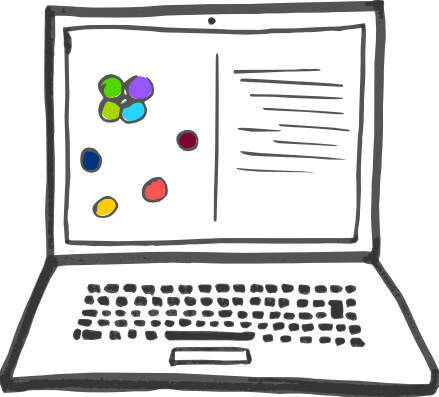 It's easy to learn, flexible and reliable, and makes qualitative data analysis creative again. Discover why people are moving to Quirkos! To tag some text, just drag and drop it onto a bubble, and watch your themes grow! Show your themes and codes as colourful bubbles, not flat lists of text! We'll only use your email for updates and support. By downloading you agree to the privacy and software licence. Quirkos was designed by qualitative researchers to be the software they wanted to use, without the frustrations of other packages. The live visual interface keeps you close to the data, and it's designed with a few flexible features, rather than a clutter of things you don't need. Our licences don’t expire, auto-save makes sure you don’t lose your work, and Quirkos is identical on Mac, Windows or Linux. 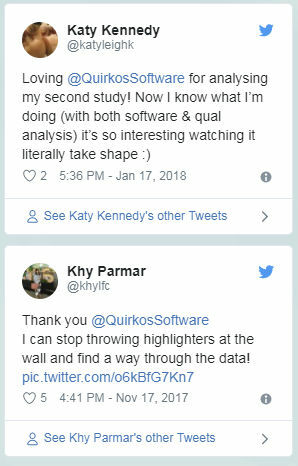 If you’ve not used qualitative software before, Quirkos is a straight forward step-up from trying to do analysis with highlighters, sticky notes, Word or Excel. 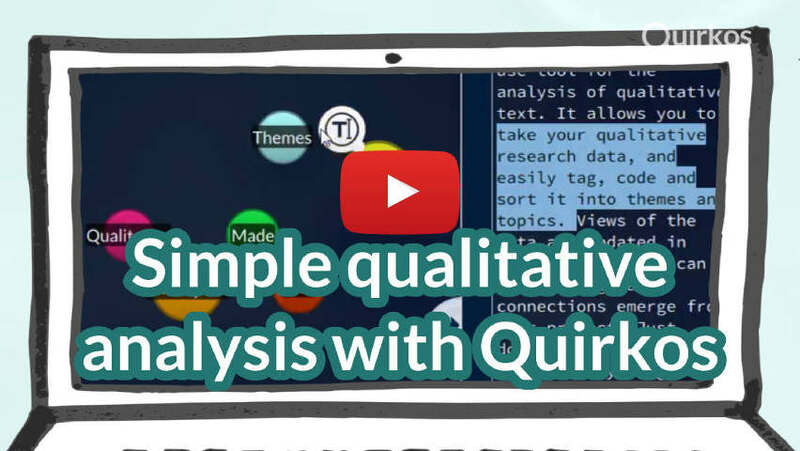 Watch how Quirkos qualitative software makes qualitative analysis easy. Not working? Watch on Youtube. Want more detail? See it in action with a 10 minute guide. Quirkos is used in more than 300 universities across the world by qualitative researchers and students who trust it with projects big and small, and teach it in their courses. Organisations use it for evaluation and feedback, making the most of user comments and open-ended survey responses. It’s also used in market research where time is a premium, and projects have to get off the ground quickly and get straight to actionable results. But the simple interface leads to use in citizen led and participatory research, empowering communities and 3rd sector organisations to make powerful cases for service improvement. for Mac, Windows or Linux. We have the best CAQDAS licence, with free updates, no expiry dates and student licences are just US$79/£55/€65. Read about the main features, see manuals and example projects, or discover what qualitative software does. All our support and training materials are freely available without registration.